Do you want to see the other side of your colleagues? 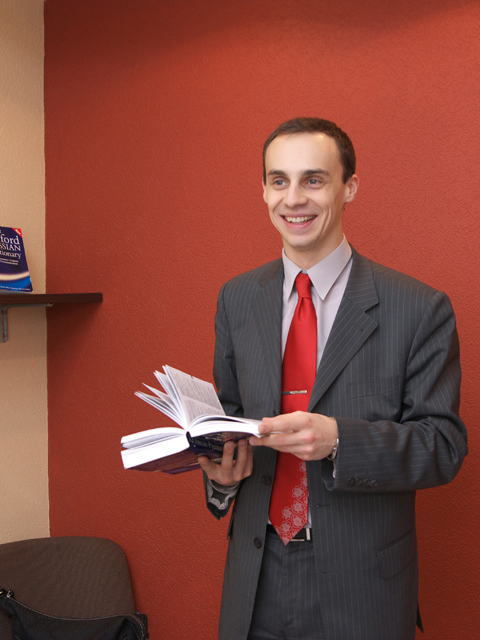 We will help you organize foreign language classes at your office. U-E instructors will open a new world of foreign language words, giving you confidence during international negotiations. Enjoy the world`s literature masterpieces in the original and discuss new ideas with your families and colleagues. With us you will sound right. Ukraine-Europe offers creative communication for productive results.